Union of Health Care Committees - What is UHCC? 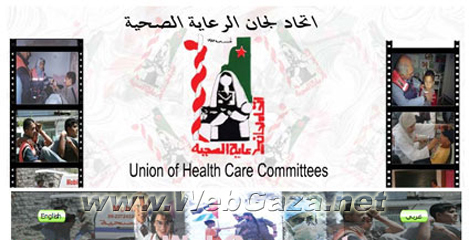 The Union of Health Care Committees (UHCC) is a Palestinian health NGO that was founded in 1985. It aims at upgrading the social & health aspects for the Palestinian society. It focuses on marginalized areas (rural & remote ones); its center of attention goes to those less fortunate in society particularly women, children, students, workers, & those of social & special needs. Upgrading the different health aspects is done through conducting number of health programs & activities. UHCC circulates its programs throughout Palestine so as to guarantee the equality of offering medical services to people everywhere. UHCC’s different health facilities, activities, & programs are done through cooperation with local society’s institutions & through partnerships with friendly foreign organizations to reach a proper social & health atmosphere for beneficiaries & targeted areas.